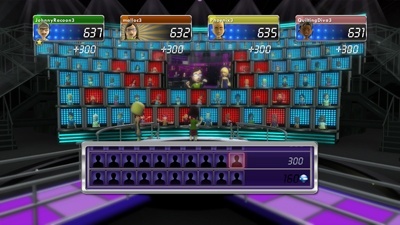 Confirming rumors, Microsoft has revealed that it's canceling the popular XBLA trivia game 1 vs 100. Bad news for trivia buffs: 1 vs 100 isn't coming back for another season to Xbox Live. The news wasn't exactly surprising, since rumors started circulating around the Web earlier this week, but it's still sad to hear. We're sorry to have kept you waiting in suspense before having to deliver this kind of news. We fully understand how some of you may be upset about the announcement. We hope you understand that it wasn't an easy decision to make and there was a great deal of deliberation. Our team really enjoyed making 1 vs. 100. Working on it was unlike anything we'd worked on before. Seeing the passionate feedback and interaction from our players was always appreciated. Even though we spent our days at work bringing the game to you, we still enjoyed playing alongside you. Our colleagues on the writing team made us laugh, too. We knew starting on this project, that 1 vs. 100 was completely different and would be an idea we would continue to evolve. We've learned a lot from this experience and we're committed to applying these lessons to the cool, new stuff we're working on, but can't yet discuss. For Dave McCarthy, general manager of Microsoft Game Studios, this is a bittersweet moment. "When we started on this journey, we knew we were creating an entirely new genre of entertainment that would be a continually evolving concept," he told Kotaku. "We're very proud of the 1 vs. 100 team and their accomplishments, and are excited to apply what we've learned to future programming." According to McCarthy, the game's development team is now, "focusing their skills and applying the technology used to develop 1 vs. 100 to new projects that will be unveiled in the future." I only played 1 vs 100 a few times, but I enjoyed the game quite a bit whenever I had the chance. I'm a little sad to see it go away, but hopefully the development team will be able to deliver something just as fun with its next project.